Are you an enjoyable cigarette, cigarillo, cigar or pipe smoker and need a stylish and exquisite ashtray during the smoking experience and after the smoking process? Then you are exactly right at Casa Padrino! 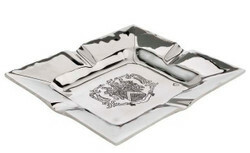 In our assortment we have numerous ashtrays that are stylish and luxurious at the same time. 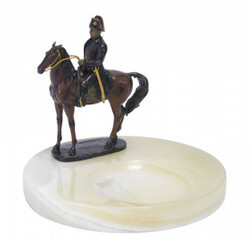 We offer ashtrays made of high quality materials in an appealing design. 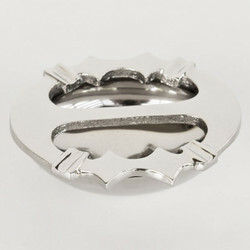 You can choose from metal ashtrays, crystal glass, marble and aluminum. 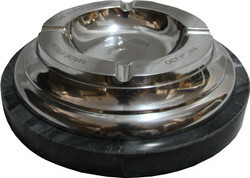 Compare now available ashtrays and select the products according to your individual needs. You are spoiled for choice and we will gladly assist you in your decision. Idealism and passion are very important at Casa Padrino. If you have questions or special requests regarding our offers, please call us on the hotline + 49-201-36577485 and our qualified support will help you in every detail! Casa Padrino, your baroque wholesaler on the internet and on site. Just magical.